We can deliver modern, adaptive & resonsive websites. 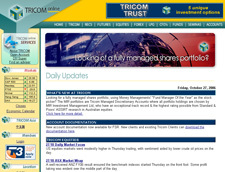 The website alters its layouts depending on the device, whether it is smart phone, tablets, laptop, or desktop. We can develop & customize the web features according to the requirements even when it is most complicated to do so. More powerful & dynamic website is more difficult to anlayze and pin point the locations of the problems in the code. 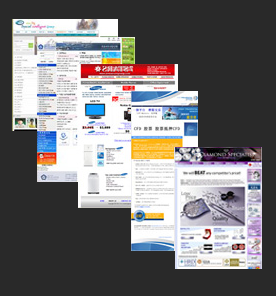 But we will resolve any problem you are facing for your website. Do you need to customize complicated web template? Do you need to maintain your website others gave up? Do you need modern, adaptive, and responsive website? We welcome all sorts of enquires. And we will come up with solutions for you. 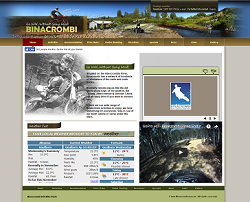 The Website for the Binacrombi Dirt Bike Park was redesigned by us. Flash slideshow, youtube, photo gallary, linking to third-party accommodation online booking, form mailer and existing contents were integrated into new design . Coded for optimal navigational speed between pages and to be search engine friendly. If you consider to upgrade your website, please contact us now. 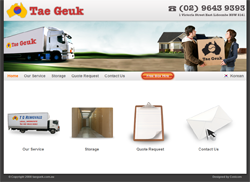 The Removals & Storage Company needed an information website plus web-based booking management system to centralize the database. This system can help efficient vehicle scheduling and avoiding duplicate booking records. Computerized management can help you save your precious time and money! With us, your business is on the move! If you need web-based applications, we can provide Customization + Software as a Service (SaaS) with minimum upfront cost and good support. You know the value of your customers or members, but how are you communicating with them? Email marketing is one of the most effective and affordable ways for a small business or organization to reach their customers and members on regular basis. We make it easy for you to put this valuable tool to work for you. Send your question via email. The client was seeking an effective online web presence. The brief was to develop a clean, modern and safety brand. The design conveys an image appealing to the client's diverse community of all age groups. Each image aims to reflect the subject's true behaviour in a picture that is encapsulating a "slice of life". We built database & completed the software that allows the website administrator to add, update and delete workshop title & schedule thus streamlining the online booking process. 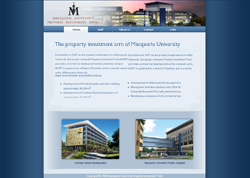 The client was looking to completely redesign and redevelop their website. The new website design consists of 73 Pages and effectively conveys the branding image of the client. The main objective of their new website is to greatly enhance users' experience and deliver a new image. 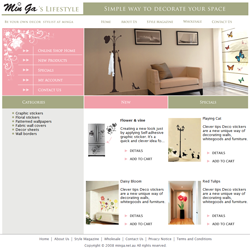 We developed MinGa Online Shop Website. This website includes information pages & wholesale login function as well as full online shop features. 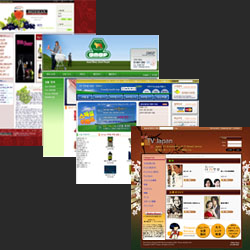 We will fully customize the website in your style for the best interest of you and your business. The website is an online shop that sells custom wall stickers and papers to businesses and individuals. The website has been designed to resemble a catalogue, yet is clean and uncluttered. We create tailor-made websites for all sizes and all types of enterprises, no jobs are too small or too large, as long as there are needs, Our team commits to fulfill all requirements of customers. This is a standard 5-webpage site that includes one professional made webpage. If this could be your choice, click Contact Us on top of this webpage for enquiry. If you have a story, let us help you visualize it into a flash banner, or we may create an impressive dynamic website upon your request. We design websites that help you stand out of the crowd for sure . 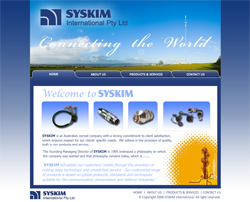 SYSKIM is an international firm based in Sydney, they are unique in the industry arena, they have huge potential, most importantly they chose us as their business partner for IT needs. 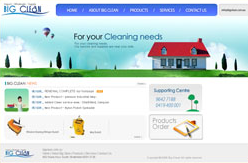 We are a leading website design, software development and IT consulting company based in Sydney, Australia. With our focus on quality and service, we have built a strong portfolio of satisfied clients from a diverse range of industries all across Australia. We don't like competitors to outsource their IT job tasks to overseas that take risks of leaking business information of clients. All of our services and products are genuine Australian made that give you a peace of mind! We are a one-stop-shop for all your IT needs. Contact us today on 0422 88 55 86. We design impressive & fast-loading templates for your eBay Online Shops. Inquire about this professional service today. With us, your business will stand out of the crowd. 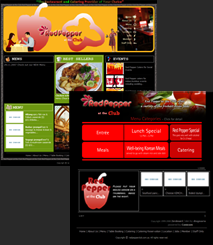 We design & provide web templates of high quality. We offer a wide range of web templates, flash templates, php-nuke themes, design for osCommerce and other related products such as flash intros, logo templates, corporate identities, icons, etc. 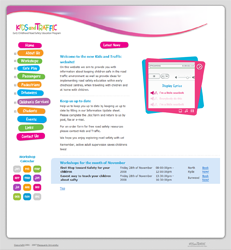 Web templates can be used to build your personal webpage or huge corporate site, online shop or offline presentation or even as a design for the software you develop! These website projects are built to business specific requirements. These websites allow clients the power to minimize costs by streamlining existing business online, thus gaining a powerful competitive edge. These systems can integrate multiple sub-sites, Intranet or Extranet systems and can all be controlled from a back-office style Content Management System. These websites showcase wonderful Australian products on offer including prices. Contact us now to see how we can build e-Commerce website for you. 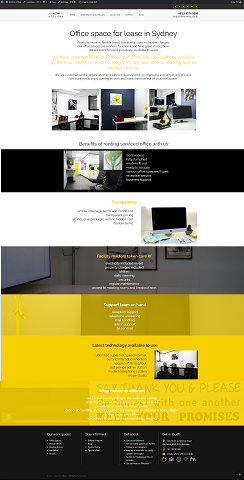 We design and develop these standard websites, it allows small to medium sized businesses to get their identity and presence onto the internet. With a standard website you can begin with just a single static web page, and build from there as your business grows. A standard website is designed by building each individual web page using a method known as hard coding (HTML/XHTML). Standard websites can start from as little as $1,000 depending on your business requirements and the amount of content. We provide full maintenance for this style of website, and can even provide maintenance for your existing site, improving the functionality and also Search Engine exposure. This website contains News Board, Best Sellers Board, Menu Board, Catering Events Board, Table Booking Page, Catering Booking Page, and Comprehensive Location Map. Excellent Vector Graphic Images as well as Flash Intro are value added assets of this website. If you are or going to be in Food Industry, contact us for more options. We welcome any unique requirements you may have for your own domain. We provide full ICT services for all of your restaurant technology needs includes domain name registration, website design, web hosting plans, website maintenance, Search Engine Optimisation, online and mobile order taking, logo design, restaurant dine-in menu design, take-away menu design, Point Of Sale system solutions, CCTV surveilance system, front and back office business management software solutions. This Flash website design is creative, stylish, and interactive. We have the caliber team to provide affordable flash web design without compromising quality. With our Flash designs, your website becomes a powerful marketing tool for your business. 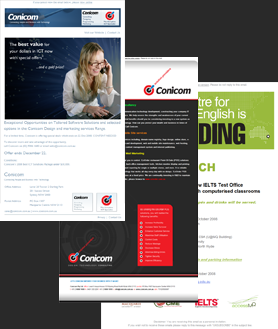 We can develop Flash banners, intros, tutorials, and presentations to full Flash based websites. Ask us about flash website today! We take care of all your websites, include updating content, graphics design, database development, bug fixing and technical support. Created professional graphics to show clear images of client's diamond products and fixed Java Script coding errors & etc. When it comes to marketing your website, the first place you are likely to look for traffic is the search engines. With the combined databases of Google, Yahoo and MSN being used for roughly 80% of all searches on the internet, a good position in the major search engines can mean the difference between lots or little traffic. Valuing the power of search engines to convert this traffic in to sales. Good search engine ranking does not happen overnight. It can take 3 months to 2 years before a new website is free standing in Google. In order to bring in the desired traffic during this time, you should be working on all the elements of your search engine campaign. Email to marketing@pyj.com.au for your site marketing needs. We integrated Credit Card Payment Module into Customer's existing E-Commerce Websites (ozMultiShop.com & ozBeautyGirl.com). These sites were not designed by us. We involved thorough analysis on web application programs that the existing websites contain. Based on the analysis, necessary work has been done and the websites with functionality of secure & error-free credit card payment were added and integrated by us! Consult with us about any technical issues you may have with your online business. Imagine a brand as the face of your company, communicating to your customer what your company is all about. A brand, in the form of a logo, can communicate a level of professionalism at a single glance. In many ways, this aesthetic is the most important part of getting your company noticed. By creating the correct type of identity, your company can hold a very competitive and professional image in any industry at any time. Stationery helps you to communicate After creating the appropriate branding for your company, your stationery is created to support it. 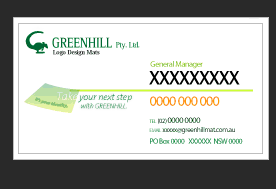 By cleverly placing your logo on stationery, and linking it in with a colour scheme, and style relevant to the identity, you are generating a seamless cross platform method of communicating what your company is all about. Your stationery should have all of the important information regarding location, contact and industry of your company. By including elements such as your web site address on your stationery you are making it easier for your customer, or potential customer to gather information about your company. For more information on brand identity, contact us. 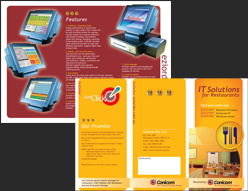 Brochure is one of the marketing tools you need to promote your business. We help you all the way through from design, development to marketing. 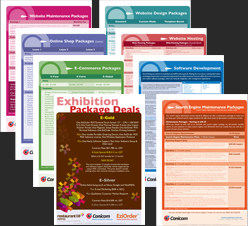 Our graphic design team will work closely with you to satisfy your marketing needs. We listen to you, understand your business, and advise on marketing strategies that works best for your money. 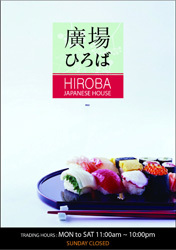 Our restaurant menu with carefully worded sell text and pictures will WOW! your customers and improve their perception of your restaurant. If you are changing your prices, NOW is the perfect time to redesign your menu. If you are considering to have a single page menu, let us create your logo and/or menu in your style. A new menu increases your restaurant's average check sales by 8%-10%! and pays for the design costs in just 4 weeks with added profits. Not a bad investment! Taking your existing or new business name, your positioning statement, your promise, your story, mission and vision statement. Research your competitors marketing material, research your industry. Create 3 fresh logo and/or website concepts specifically designed to reach your target market. Further refine and finalise your choice of logo and/or website. Your new logo and/or website are packaged on DVD for your infinite use.